Prosecutors have filed charges in a fatal church shooting in Montgomery County. 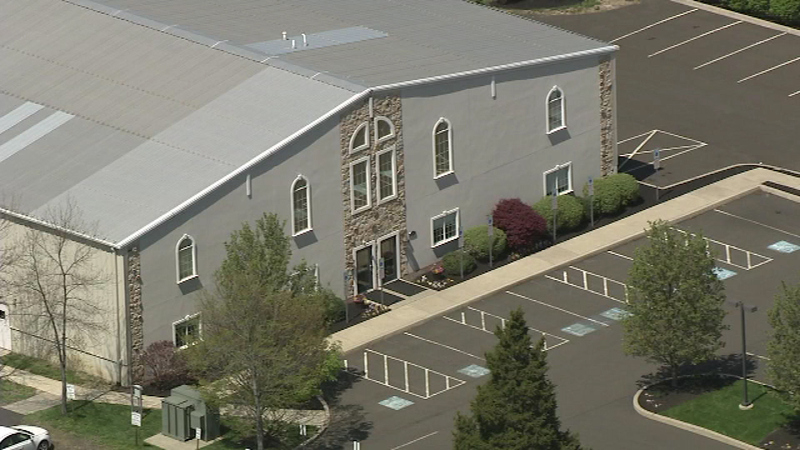 MONTGOMERYVILLE, Pa. (WPVI) -- The Montgomery County District Attorney's Office says a man displayed a badge he purchased online to a fellow church member prior to shooting him to death during Sunday morning service. Braxton's father spoke exclusively with Action News Thursday night. He tells us he forgives Storms for allegedly shooting and killing his son. "This is such a tragedy that my son had to die," said Robert Braxton Jr.
Outside his Lansdale home, Robert Braxton Jr. said he is relieved Storms is being prosecuted for his son's death, but as a man of God, he and his family forgive. "Even though I have so much pain and so much hurt from the life he took away from me, Mark I forgive you man, and my family forgives you, but you must pay for this crime that you did," said Robert Braxton Jr. According to Steele, the incident began when the victim created a disturbance during the service. "Braxton was creating a disturbance during the 11 a.m. church service after a fellow church member sitting behind him touched his shoulder, apparently telling him that he'd taken an already occupied seat," Steele said. "Witnesses then saw the victim calming down and saw the shooter come over. When he came over he had a gun out," Steele said. District Attorney Kevin Steele announces charges in a fatal church shooting. "The badge that defendant showed the victim was a permit to carry a concealed weapon that he seemingly purchased online," Steele said. Storms told investigators he thought he was in "great danger" and was "worried about the other people in the church," including his wife and son. He said he'd shown the fake badge during a prior situation, and "the guy walked away." "It is clear the shooter brought a gun to a crowded church, he introduced that gun into a verbal altercation that turned into a fistfight, and then fired the gun twice aiming at the vital part of the body, killing the victim," Steele said. Shooting not reasonable self defense. Shooter approached victim. Displayed badge purchased online. Authorities say they conducted more than 50 witness interviews. The Braxtons say they are moving forward with the help of their spirituality. "As a church family, we are still going to love and support your family," said Robert Braxton Jr.
Braxton's funeral is set for Saturday. Storms was arraigned Thursday afternoon and bail was set at $250,000 cash bail. If convicted on both charges, Storms is looking at more than 20 years behind bars.